Modern Albania declared its independence in November 1912 during the First Balkan War and this was recognised by the Treaty of London in May 1913. 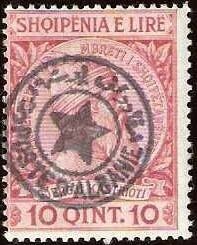 There was a provisional government initially which used overprinted Turkish issues. Prince William of Wied was offered the crown on 21st February 1914 but left Albania on 3rd September. From 13th September 1914 Southern Albania was gradually occupied by Italian forces, and in the north by Serbians and Montenegrins. 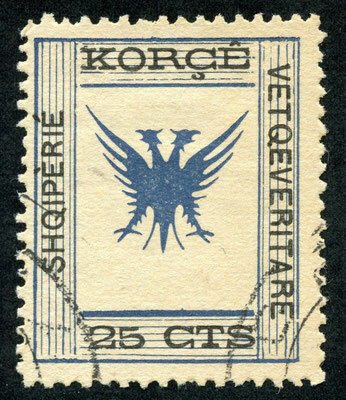 After the defeat of Serbia at the end of 1915, northern Albania was occupied by Austrian forces until the end of 1918. Essad Pasha ruled in Central Austria from January 1914 to 24 February 1916 when the Austrians took control. 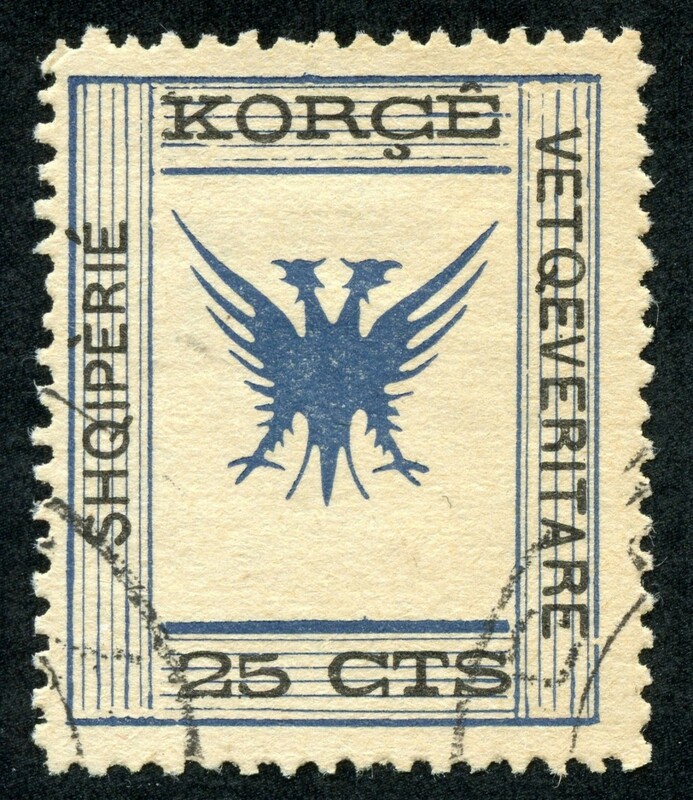 On 11 December 1916 the French General Sarrail set up the area round Koritza in eastern Albania as an Autonomous Province to counter Greek and Italian influence. In February it became a French-occupied territory. The area passed into Albania control when French troops left in June 1920. A provisional government was set up in December 1918 with the aim of establishing complete independence and to free the country of Italian troops who left on 2nd September 1920. 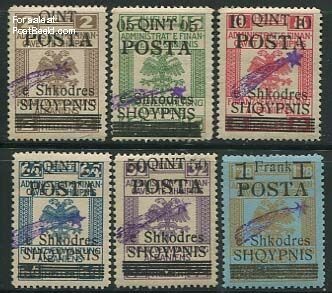 Scutari (Shkoder) was governed by an inter-Allied Commission as a protection against Serbia from the end of 1918 until March 1920.